We’ve been AZ swimming pool builders for many years now, and we’ve received plenty of questions from people who are interested in swimming pools. From brand-new installation to remodeling a pool that’s seen better days, there are many things that we can do. 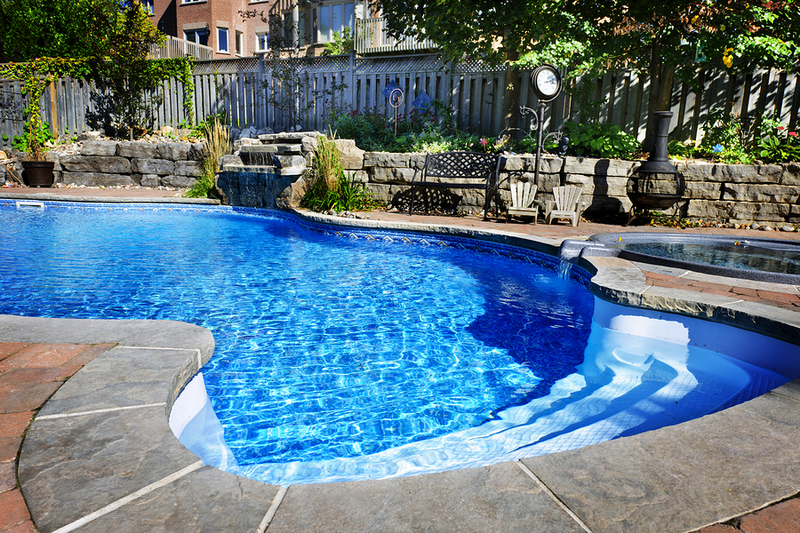 Below are a few of the most common questions that people have about pools, and we’ve done our best to find answers that are not only accurate, but also helpful. Q: Why do I want a swimming pool? With a beautiful backyard pool, you can accomplish all of these and more. Q: Is my yard too small for a pool? A: Probably not. You would be amazed at how much we can do with small spaces. A small backyard can make things cozy and intimate, but no less beautiful than a large one. Q: What shape of pool should I choose? A: The answer to this one is basically: Whatever shape you like. Different people have different preferences, and pool shapes can meet those preferences in many ways. If you really like a traditional square look, we can do that. If you like a freeform pool with curved edges, we can do that, too. We’ll take what you like, look at your architecture, and design something that looks divine. Q: What kind of water features can I get? A: From simple fountains to cascading rock waterfalls, we can create features that dazzle and delight. Grottos, custom designs, and water jets make your pool stand out from the rest. Q: Do you offer other poolside amenities? A: Outdoor kitchens are a specialty that more people are requesting these days. We can give you a poolside café that your guests will gush over, or a lounge area even your mother-in-law will love. And Landscaping is an option that can bring beauty all around. When you choose us to be your AZ pool builders, you choose quality workmanship. We can answer these questions, and many more, that will get you on your way to pool ownership.